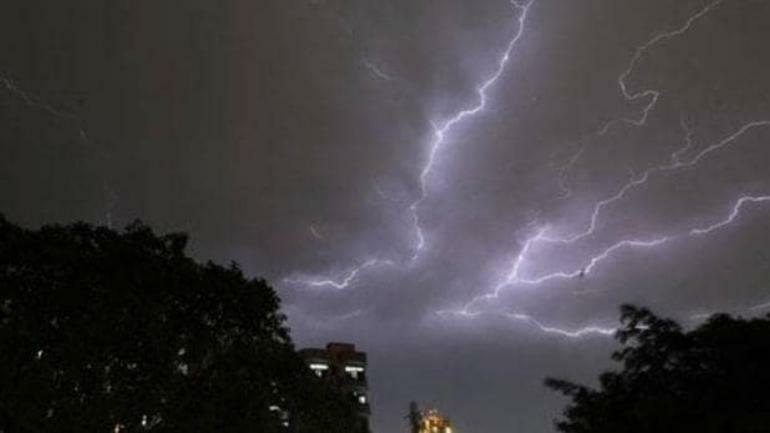 New Delhi: At least 31 have died due to unseasonal rain accompanied with dust storm that played havoc in Gujarat, Madhya Pradesh, Rajasthan and Himachal Pradesh. In Gujarat, nine people were killed in accidents following thunderstorm and dust storm on Tuesday. Districts in Gujarat like Ahmedabad, Rajkot, Banaskantha, Patan, Mehsana, Sabarkantha and Anand were severely affected. Crops in these areas were ruined due to heavy rain and storm. Vegetable vendors were also hit hard as their produce, which was ready to be sent to local markets, was also damaged. Owing to the weather conditions, Prime Minister Narendra Modi’s rally in Sabarkantha has also been cancelled. He was scheduled to address an election rally today but some tents and hoardings in the venue were destroyed in the dust storm. Prime Minister Narendra Modi expressed his condolences in a tweet on Wednesday. He said, Anguished by the loss of lives due to unseasonal rains and storms in various parts of Gujarat. My thoughts are with the bereaved families. Authorities are monitoring the situation very closely. All possible assistance is being given to those affected, PM Modi said in his tweet. The India Meteorological Department (IMD) has forecasted heavy rainfall in parts of Gujarat today (April 17). Severe effects of thunderstorm were also seen in Madhya Pradesh. At least 10 people have reportedly died due to lightning related incidents in the state. The India Meteorological Department has forecasted strong winds in Neemuch, Mandsaur, Rajgarh, Shajapur, Bhopal, Guna, Vidisha, Bhind, Datia and Ashoknagar regions of Madhya Pradesh. In Rajasthan, nine people have died and 20 have been injured. Udaipur and Jhalawas were the most affected regions. Four deaths were reported in Jhalawar, while in Udaipur, 800 electric poles and 70 transformers have been damaged. IMD has also issued a storm alert for Himachal Pradesh, saying the storm is expected to attain a speed of 50 km per hour. Meanwhile, lower areas in Himachal Pradesh experienced light to heavy showers with gusty winds on Tuesday (April 16).